UAE-born and headquartered TIME Hotels Management plans for major expansion across the UAE this year and various other properties, which will see it operating hotels in Saudi Arabia, Egypt, Bahrain and Oman. A new 35-suite Nile cruise has also been thrown into the product mix for TIME Hotels. 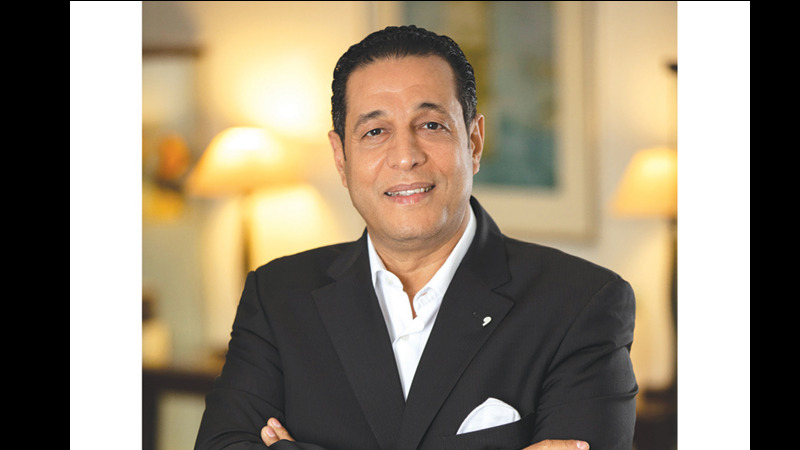 “Our ambition is to continue with the successful expansion of the TIME Hotels brand,” Mohamed Awadalla, CEO, TIME Hotels, tells TTN. Last year saw the successful launch of three new properties for the brand, including TIME Hotel Apartment Dammam, TIME Beach Villas Resort in Jeddah and TIME Nozha Aqua Park Hotel & Resort; a series of refurbishments at TIME Grand Plaza Hotel, TIME Oak Hotel & Suites, TIME Crystal Hotel Apartments and TIME Topaz Hotel Apartments; and the launch of its new central reservations office in Cairo. CEO Awadalla also shared plans with TTN, for a 35-key, all-suite cruise down the Nile, which will operate between Luxor and Aswan, and start operations in September this year. Earlier this year, TIME Hotels took over operations of Dunes Hotel Apartments’ three properties located in Al Barsha, Al Qusais and Oud Metha, and promised that its overall portfolio will grow to 20 properties by 2020. TIME Dunes Hotel Apartment Al Barsha comprises 83 rooms, while TIME Dunes Hotel Apartments Al Qusais features 108 rooms and TIME Dunes Hotel Apartments Oud Metha has 80 rooms in total. All three properties include studios, one-bedroom and two-bedroom apartments – with the Al Barsha property also offering three-bedroom penthouse apartments. All three properties underwent a rebrand, becoming TIME Dunes Hotel Apartment Al Barsha, TIME Dunes Hotel Apartments Oud Metha and TIME Dunes Hotel Apartments Al Qusais. This year will see the opening of TIME Hotels' first beach resort in Egypt, TIME Nozha Beach Aqua Park Hotel & Resort, a four-star property located in Ras Sudr, on Egypt’s Red Sea coast. Due to open its doors in the third quarter, TIME Nozha Beach Aqua Park Hotel & Resort will feature 52 rooms and four suites as well as five castles, 93 villas, 891 chalets and 136 studios. “This is a very exciting chapter in TIME Hotels’ history as we open TIME Nozha Beach Aqua Park Hotel & Resort, our first beach resort and first property in Egypt,” said Awadalla. Other openings scheduled to take place throughout the year include two properties in Saudi Arabia, one in Dubai and the debut of the TIME Express Hotels brand in Sharjah this summer. Speaking of summer, as the season approaches, rates will go declining and as the five-stars reduce their pricing, this will put more pressure on the four-stars and it is a domino effect really, says Awadalla. “Hoteliers in the region have tried everything to shed extra costs, be it clustering, paying staff overtime, hiring casual staff, some have even gone out and hired their linen, for example, as a measure to save costs - it would be great if the government also reciprocated with some initiatives, especially for hotels. “Dubai is my favourite city in the Middle East,” says the CEO. “I like to call Dubai a ‘full destination’; it has something for everyone – be it for leisure seekers, business travellers or corporate travellers. The vision of the leadership is second to none when it comes to attracting tourism, diversifying markets and prioritising travel and tourism in general, but there is a lot more that can be done to help hoteliers with their bottom line. “Wouldn’t it be great if all the different wings of the government came together for a common policy for us hoteliers to help further cut costs? Imagine immigration and visa authorities giving us three or even four-year visas, making processes more cost effective and efficient for us. If the electricity and water authority helped us out with reduced costs, that would be a huge plus too. “Supplier lists for essential products such as security cameras and lifts should have enough approved suppliers so that there is a healthy competition in the pricing. At the minute, the approved supplier lists often feature suppliers in single digits, and therefore, do not allow for a wide range of pricing,” says the CEO.